At present there are no visitor facilities on Mongan Bog. We will post more on open days, guided walks and other events here and on our Facebook and Twitter pages as they arise, e.g. 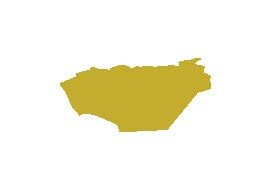 Heritage Week. The bog is best-viewed from the Pilgrim’s Road, or Pilgrim’s Way, an ancient raised road along the top of the glacial ridge, or esker. From this ancient road, which brought pilgrims into (and out of) Clonmacnoise since the early seventh century, you can look down on the impressive dome of Mongan Bog. The dome may not be as high as it was when Pilgrims visited Ireland’s oldest pilgrimage site, but it is still an awe-inspiriting sight. The Pilgrim’s Road offered safe passage to medieval travellers to and from Clonmacnoiseis. It leads from the monastic core eastwards through the old burial ground and dissects the New Graveyard where it heads towards the Nun’s Church; a small platform of stones known as ‘the Cairn of the Three Crosses’ is visible on its route. It is a key part of the pilgrimage route at Clonmacnoise known as ‘The Long Station’ performed on the Pattern of St Ciarán. The Pilgrim’s Way demonstrates how the natural attributes of the landscape were used to benefit the development of the monastic city. 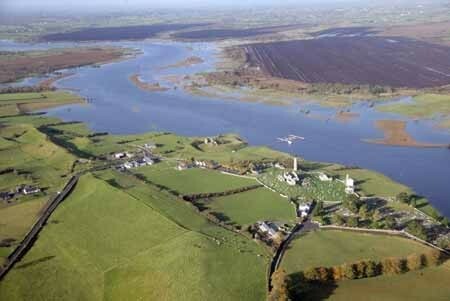 The Pilgrim’s Way is a further reminder of the sacral nature of the landscape around Clonmacnoise. You can exit at Clonmacnoise, following the ‘pointer’ signs for about 1km until you reach the rise of the road overlooking Mongan. As you stand in the centre of the road with the bog over one shoulder and the River Shannon over the other, it is one of Ireland’s most impressive sights. You are truly following in the footsteps of ancient pilgrims! 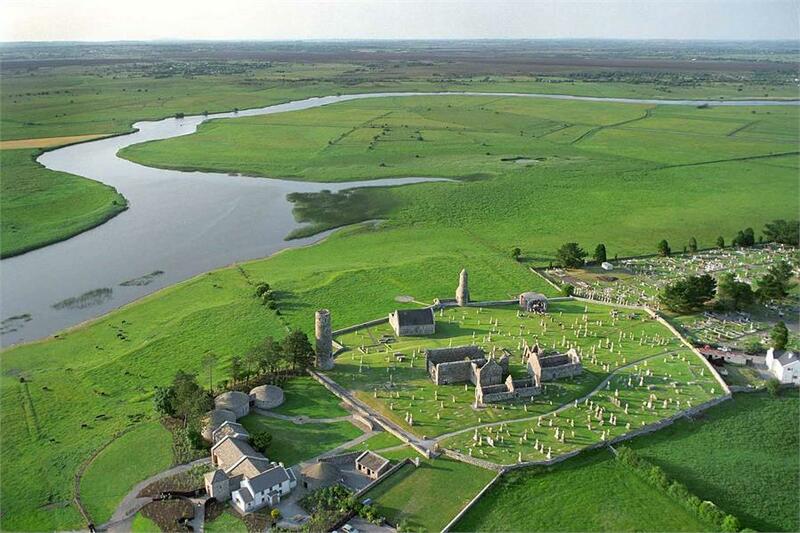 Clonmacnoise is one of the most popular and historic ancient monastic sites in Ireland. A walk amongst the peaceful stone ruins of this famous place will conjure images of the saints and scholars of Ireland’s renowned Golden Age of learning. Open all year, daily | November-Mid-March, 10:00am-5:30pm | Mid-March-May, 10:00am-6:00pm | June-August, 9:00am-6.30pm | September-October, 10:00am-6:00pm | Closed 25 and 26 December | Last admission is 45 minutes before closing. For more on visiting the area, see the excellent VISIT OFFALY page on Clonmacnoise, and whilst you’re there, be sure to look around at the many places in Offaly to visit. For people visiting Clonmacnoise, crossing the raised bogs would have been precarious as they contain permanent pools on their surface which vary greatly in depth. 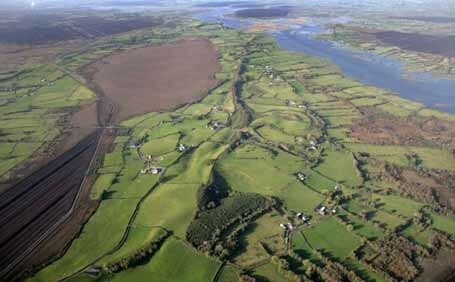 For this reason the eskers were preferred routes across the landscape. However, man had been interacting with this seemingly inhospitable landscape for centuries. 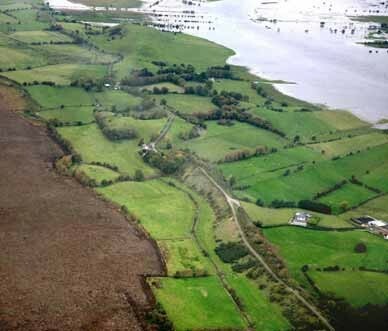 Archaeological excavations have revealed the presence of wooden toghers (track ways) and gravel pathways across the bogs around Clonmacnoise which in many cases predate the monastery and demonstrate that the bogs were not as impenetrable as first thought. Sadly, the drive for peat as a fuel and horticultural product has ensured that many of these have been badly damaged and/or obliterated. 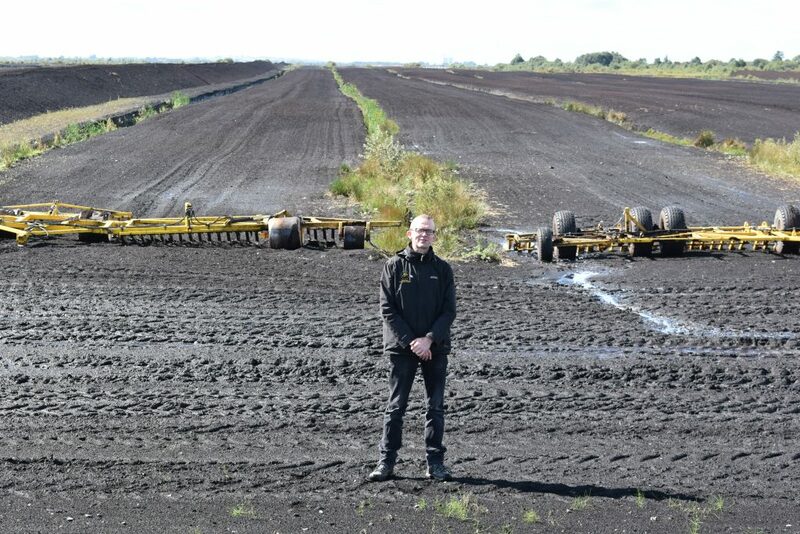 Ronan from the Living Bog team stands at a typical ‘production bog’ close to Clonmacnoise and Mongan Bog SAC. in Co Offaly.